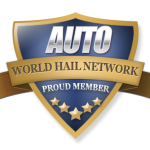 Hail - Definition | What is it? | What does it do? | What should I do? Hail – An ice formation created when water droplets freeze and are carried by updrafts where another layer of ice is formed. Hail is a solid precipitation; one hail is actually a small lump of ice. 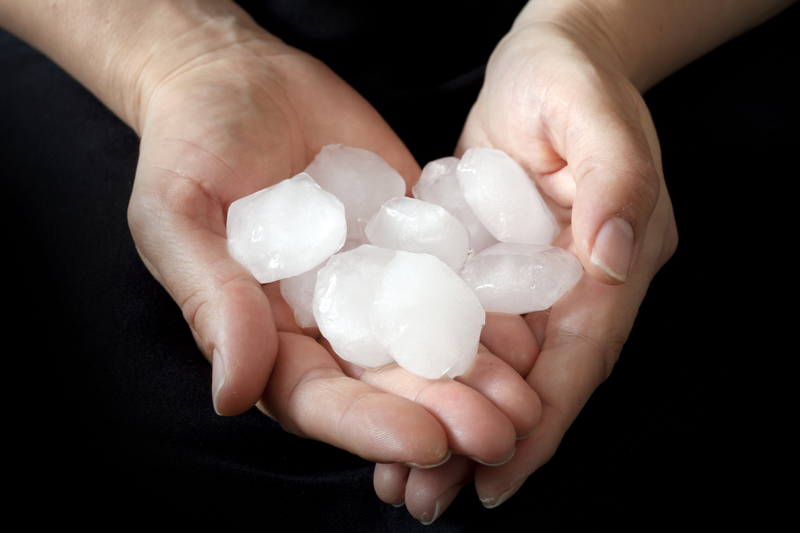 Hailstones consist of water ice, they vary in size, from 5 mm (0,2 inches) to 15 cm (6 inches). Hails can form during a thunderstorm because of strong upward motion of air in and lowered heights of the freezing levels. Hailstorms mostly occur during the summer months when temperatures fluctuate. A hailstorm is a frightening force of nature. In the past centuries, there existed many superstitions about hailstorms. According to folklore tales, witches and evil creatures can create hailstorms in order to damage others’ crops or property, and when a hailstorm is raging, witches and demons are dancing in the air. We have heard about Dark Ages tales of hailstorms that destroyed villages, the hails that came down supposedly had evil facial features. These stories may sound amusing, however, the damage hailstorms can cause is very real. The worst hailstorms have caused hundred millions of dollars in total damage. Intense hailstorms can break windows, they can damage houses and buildings beyond repair. They can destroy rooftops. They can damage electricity pylons and power lines. They can flood basements and homes when the heaps of hails turn into water. Cars may slide off the road because of the layers of ice. Hail can leave cars with dents and a broken windscreen and windows. Worst of all, hailstorms can injure or kill animals or people. If you live in an area where hailstorms may occur, then it is a good idea to make sure that the house you buy or rent is a sturdy and secure one. Your roof needs proper sheathing and impact-resistant asphalt shingles to survive a hailstorm without breaking down or having large dents. It is also important to protect your windows. If your windows break during a storm, your home and your belonging might end up damaged. Furthermore, broken glass is dangerous, shards of glass are sharper than knives. Buy pressure or impact rated windows and install wind shutters that completely cover the whole surface of your windows. Get pressure or impact-rated doors that open outwards, and secure them with special heavy-duty bolts; average heavy-duty bolts will not do when it comes to protection against a violent hailstorm. Get a reinforcing bolt kit that was specifically made for your door. Homeowners insurance or renters insurance is also extremely useful. If you are insured, your insurance will cover your losses and pay to repair the damage. Read about the next term: Hail Stone – The actual ice ball that falls to the ground.